Compete now through Fri, 8/10 in CC Event #79 for your chance to win these OG-style fedora tee markers and flags. Take it back to the 1920s with your WGT Country Club and these tee and flag prizes, plus other in-game rewards like Course Builder currency for the top 500 clubs to create custom courses. 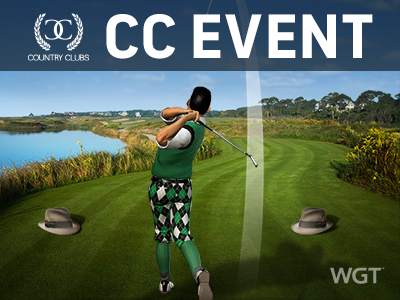 CC Event #79 runs 8/9-8/10 with multiple 4-hour Clashes, so be sure to play as many games as you can for your club and keep your eyes on the leaderboard.